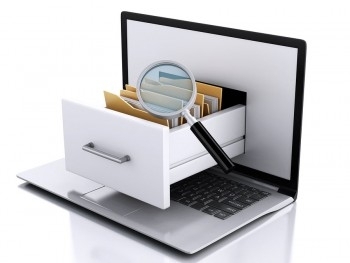 We realise that not everyone has access to a computer and you might be in a situation where you want to log your new Training or Learning activity as soon as possible before you forget the details. 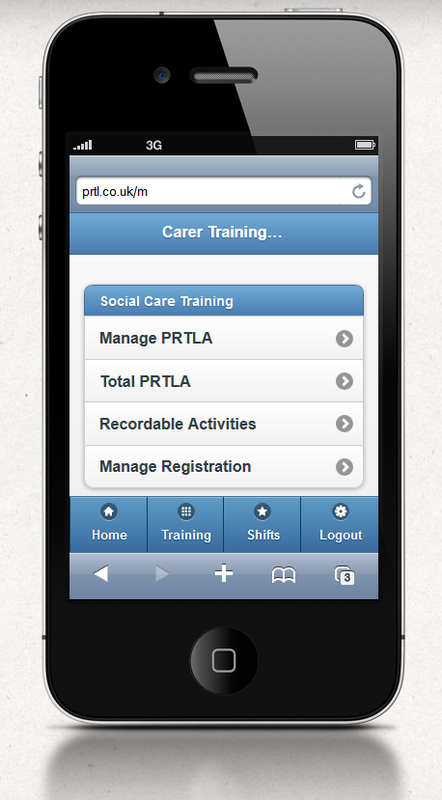 That is the reason why we developed a "Mobile" Version of "Carer PRTL Tracker" as well. You will still have to register with the website here, however it can be done via the mobile version , it is just a little tricky to navigate on mobiles with a smaller screen. 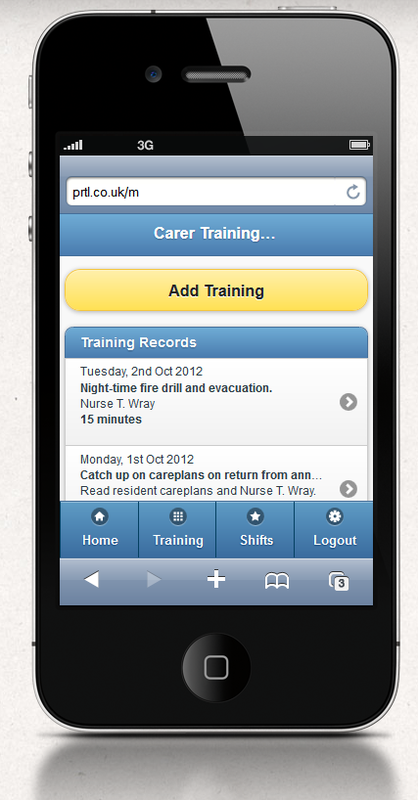 To use the Mobile version of "Carers PRTL Tracker" go to one of the following links. Once you logged in you will see the following screen with the main options. As a bonus we added the functionality to easily manage your shifts that you work. This will give you total hours worked and gross earnings per wage type. The plan is to add the same functionality to the main website with the added option to export your monthly shifts to a pdf file. 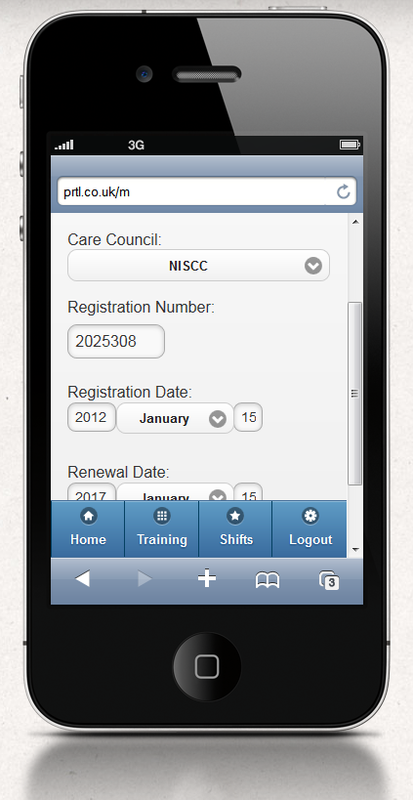 View add and edit training and learning activities for the current registration period. This is the total number of hours you accumulated during the current registration period. Totals are calculated as soon as you add a new activity so it is easy to see when you meet the required target or how many hours you still need to train or learn. Use this option top manage your registration. To print your Post Registration Training and Learning activity summary you will need to log on to the main website. 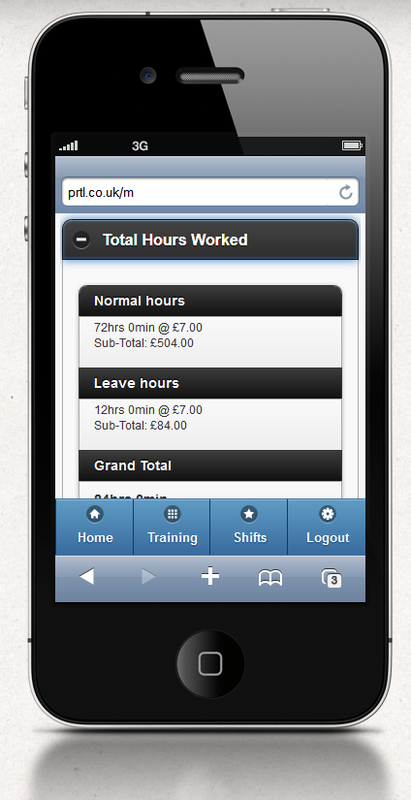 Add, edit a shift or view the totals for the current pay period. Adding any other "type of wage" to the shift, you will need to tell the system how many hours you worked for that specific wage type. See "Pay Period Settings" below. Tap this option to view the totals of all the previous pay periods. You can use this menu option to add or edit any of the shifts belonging to this pay period. 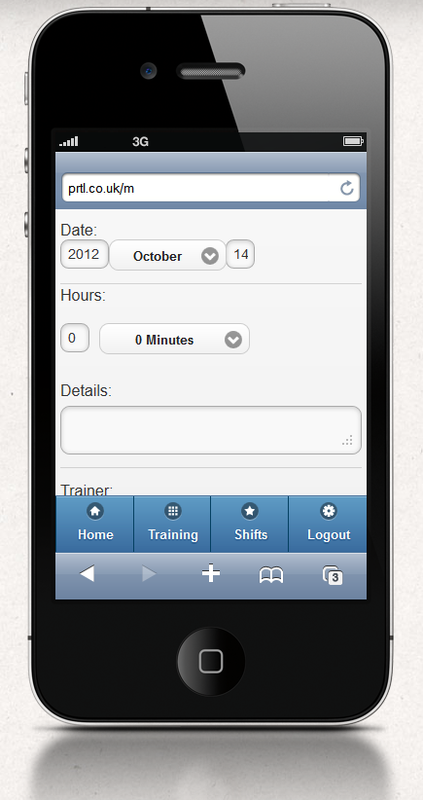 For instance if you forgot to add a shift or need to correct any of the shifts entered. 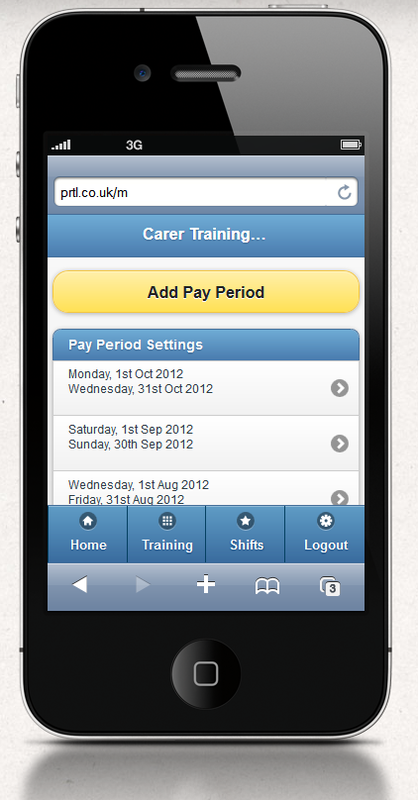 Tap this option to define a new pay period. You have 4 different wage types that are definable to whatever you like. You can either follow the procedure set out in step 3 above or you can "Edit" the last pay period and tap the "Insert As New" button at the bottom of the screen. Obviously you need to changes the start and end dates. 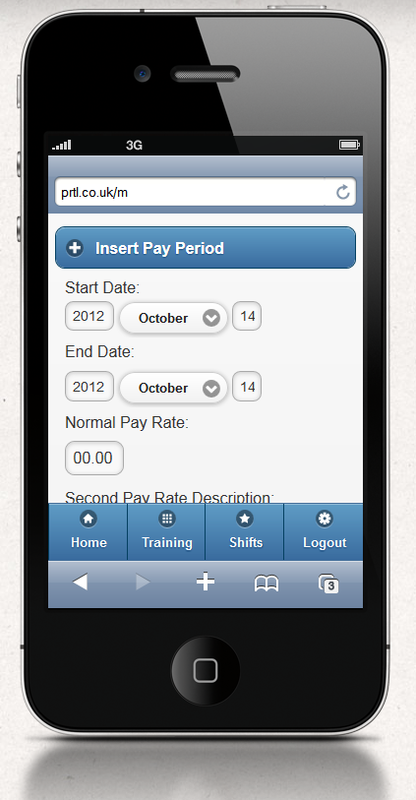 This will automatically insert a new pay period using the same "wage type" settings. The mobile version is not an application that is installed on your mobile. This ensures better cross-platform compatibility. The drawback is that if your Internet connection is on the slow side you might experience problems displaying the screens. If that happens simply refresh your page to try and reload the page or wait till your Internet connection is better. If you are sure that the error is not with your internet connection, please report the problem via the "Contact Us" page on the website. Try to be as specific as possible with your error description as we will need to try and duplicate the problem to find out what is wrong.